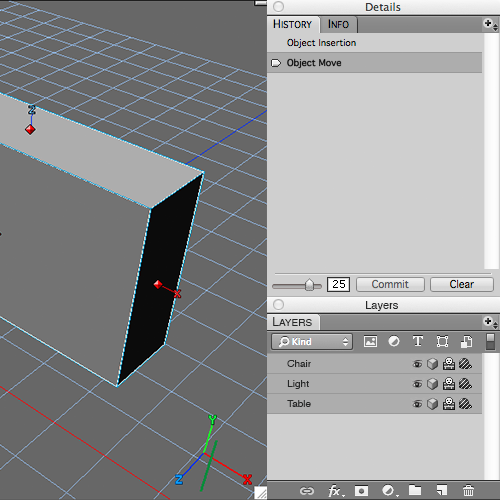 If a tighter integration with POSER PRO 2012 could be had that would be nice. Also, I find it Spain when I I port a model and have to delete all the materials one at a time and still,have click on the question box Are You Sure You Want to Delete etc. One more thing. A recovery file for crashes would be nice. Oooops, seems I've posted my reply to the wrong area. Apologies. I was hoping to see a tighter integration with Poser Pro for importing figures with bones etc. Also, deleting materials from the library more than one at a time would be nice. Quite painful having to delete one at a time after I import a poser figure or any other model. Maybe a recovery file for crashes too? - Grass abilities : something more effective than the real old and powerless "Hair"
I don't understand what it is about our current Backdrop and Grid Template systems that don't meet your requirements. Could you explain a bit further for me please? Thanks. Perhaps we should put together a tutorial on how to do it in Strata. It seems to be confusing for most people who come from other 3D applications. Ken, other apps have high resolution template images. We are currently limited to very low resolution templates that are not very helpful in some situations. They are particularly under-powered for UV editing when you want to match UVs to an image, but also in many other circumstances where the resolution is too low for detail work. MarkG may have other thoughts on manipulating the templates as well. Ok. Just did some further testing and I see that we're limiting the resolution of grid based templates. I'm sure grid templates are what you guys must want to be using for modeling, so I'll make sure that the team is aware of that one. Thanks. I would love that the sizes takes consideration of the subdivision. For example, when making a bottle I make it in low res poly, when you subdivide the shapes it shrinks. When working on exact sizes it's hard to control the smoothing&size of the shape. So the size palet should give the sizee of visible poly and not the lowres poly of that shape. Hello all. Old time user (Blitz anyone? )...long time lurker for the past few years. I see a lot of old faces are still here, and a few new ones. The features I've always missed were the limited animating, and effects tools. It's one of the reasons I left for other pastures. But the modeling precision, and the beauty of Strata's rendering engine always has me keeping an eye on the software. The modeling tools are finally more up to modern standards while retaining there grid based precision. Nice work! I'd really like to see work done to modernize the animations, and effects areas. I'd expect baby steps, but offering bullet physics, non-linear animation, driver/expression based animation controls all integrated within a nice updated interface. The current animation tools don't carry the more modern appearance we see in the toolbar, and materials. In versions of Strata before 7.0 the monitor would be send to sleep while rendering (depending on the OS-settings of course). I really miss this feature, especially when doing long renders. It would be great and very practical to see Strata not to override the system-settings in the upcoming versions. I'd really like to see modeling taken to a even higher level with something akin to Groboto/Meshfusion, or even a Sculptris level sculpting with re-mesh/re-topology tools. It seems more, and more applications are adding sculpting/advanced meshing capabilities. It would be great to see Strata taken to that level. 1. Layers. It would be awesome to be able to group elements on various layers in a single document and turn them on and off as required. Working on different floors in the same building could be achieved by keeping all the basic elements on the primary layer. Partitions, furniture, lights and cameras on separate group-able layers. I would like to see a complete re-write of the animation palette to fix once and for all all the bugs with it when it comes to the twirl down arrows. +1 to ZAP666......please...if anyone at Strata reads these...the project palette is a nightmare. Please update it, it's the single biggest UI need. New modeling and texture features are totally necessary, but one of Strata's big draws is its simpler (by comparison) user interface...and you're losing it with all of the problems the project palette is known to have. It could be so much more...expand it's usability and fix it's bugs. Keep in mind that the below is a 15 minute hack. I just wanted to throw the idea out there more, and provide a nice visual to Strata illustrating how nice a layers panel could be to have. Some of the "icons" won't work since it's a pure copy/paste from Photoshop to Strata concept. This is just an initial concept of how it could look. But I envision each layer having the icon to the left of the name that shows what type of object it represents: bezier surface, polygon mesh, text, group, instance etc. In my vision the modeling commands palette goes away. Some of the tools get integrated into the side toolbar (ie. align handles, make first point), and some become "layer effects" (meld, fillet, subdivision surface, etc.). Attributes could also be added here, and I think being able to add script fx would be useful. The search filter at the top would allow users to filter the list by type (bezier, text, instance, light etc), search for name, etc. Very useful functionality in more complex scenes. In addition, guides, and grids would be displayed here at the top (like the project window). Definitely needs to be some thought in what exactly would be displayed, and how/where but it's an improvement that would greatly enhance Strata, bringing it even more align into the Adobe concept for Designers. Even more features could be extended into the layers palette. You could have subsets selectable in polygon edit mode where in the layers palette it changes to display the model name, and then below it any subset polygon selections that are available. This way the user could simple click on it in the layers to select that group of polygons quickly and efficiently. I would LOVE to see animation improvements. I do kind of lean more towards fleshing out Strata's modeling, and scene organization tools before the diving into animation. But a little bit of everything would be welcome, as long as improvements are focused. Another feature I discussed in the Magic Wand Tool thread is that polygon ring, and loop selection would be a very useful addition.